Head over to Live for Live Music today to check out the online premiere of “Ancient Family”, the latest single from Island-Americana quartet Dangermuffin. “Ancient Family” is the first single from the Charleston band’s upcoming March 31, 2017 studio album release Heritage. In celebration of the release, Dangermuffin have added new tour dates for this summer which includes a run through the West Coast. A full list of confirmed and previously announced tour dates are below. 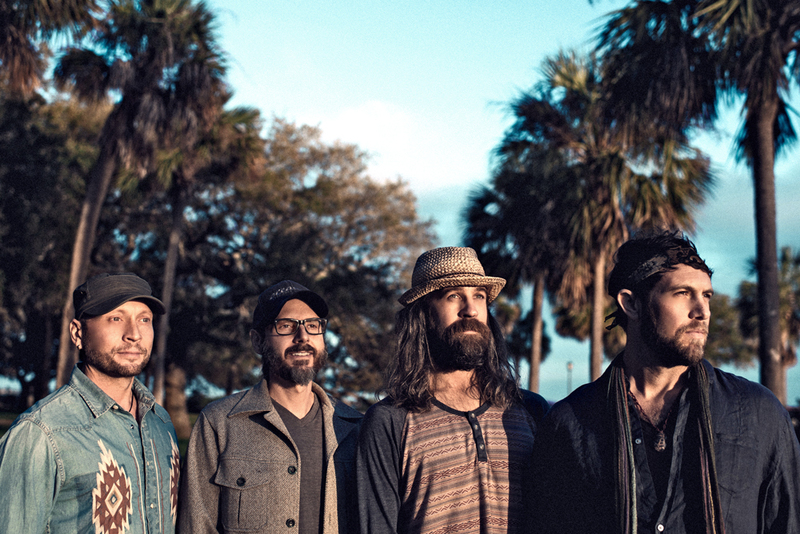 On “Ancient Family”, Dangermuffin’s Dan Lotti sings “My ancient family/ will you rise up with me” as breezy guitar licks and vocal harmonies display the band’s signature coastal style. “As we travel around the globe, we have resonated with so many amazing people,” Lotti tells Live for Live Music. “To us, they are family - we feel as though we have known them for a very, very long time. It is this music that connects us all, as an Ancient Family.” With a touch of mysticism, listeners may be transported through the song’s imagery of a desert, a forest, and the sea. Fans can pre-order Heritage now through Dangermuffin’s current PledgeMusic campaign. Dangermuffin have mapped out a US album release tour that hits both coasts. The tour will kick off in St. Petersburg, FL on March 15th, and will span the country through the early summer months including a run through California. A full list of dates are below. Check out the Live for Live Music exclusive premiere of “Ancient Family” here - http://bit.ly/2mObQOw.